The term ‘gesture’ has represented a buzzword in the NIME community since the beginning of its conference series. But how often is it actually used, what is it used to describe, and how does its usage here differ from its usage in other fields of study? This paper presents a linguistic analysis of the motion-related terminology used in all of the papers published in the NIME conference proceedings to date (2001– 2013). The results show that ‘gesture’ is in fact used in 62 % of all NIME papers, which is a significantly higher percentage than in other music conferences (ICMC and SMC), and much more frequently than it is used in the HCI and biomechanics communities. The results from a collocation analysis support the claim that ‘gesture’ is used broadly in the NIME community, and indicate that it ranges from the description of concrete human motion and system control to quite metaphorical applications. 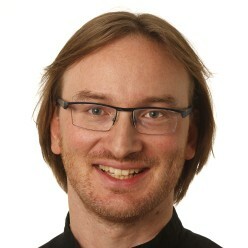 Jensenius, A. R. (2014). To gesture or not? An analysis of terminology in NIME proceedings 2001–2013. In Proceedings of the International Conference on New Interfaces For Musical Expression, pages 217–220, London.